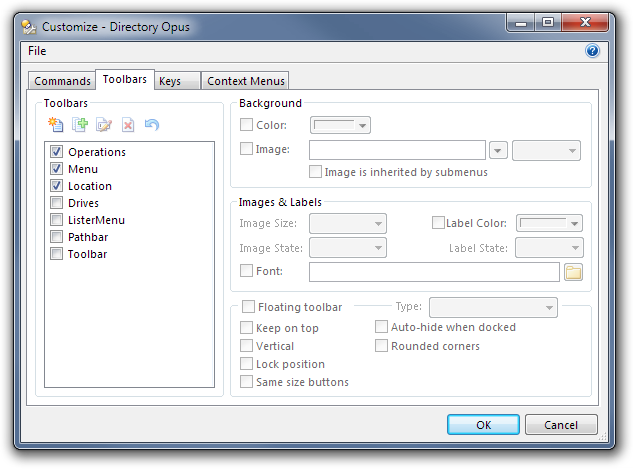 If you install Directory Opus 10 over a previous version then you'll see the new default toolbars when it first launches. Your toolbars are still there, they just aren't turned on. The new default toolbars and menus expose a lot of new and once-hidden functionality, so we wanted everyone to at least look at them to discover some of what's new. It is also difficult to detect how much each person has customized and whether or not they'd want to use/try the new defaults, so we always go with the new defaults and let you turn the old ones back on if you want to. We figured that people who have done a lot of customization will be familiar with turning toolbars on & off, and with how this worked in previous Opus version changes, while people who had not customized much (or anything) would probably not want to be left with the old Opus 9 default toolbars after updating to 10. 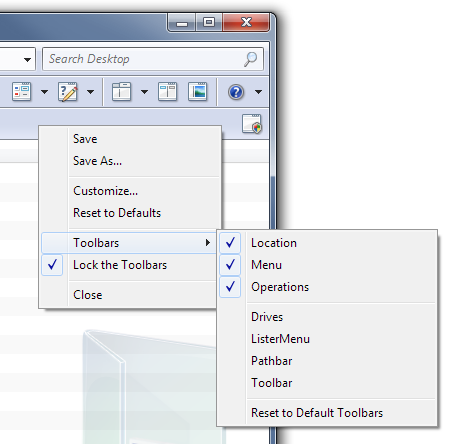 The new default toolbars are called Location, Menu and Operations (in order of appearance). The old default toolbars were called ListerMenu, Toolbar and Pathbar (in order of appearance). If you happened to have a toolbar with the same name as one of the new defaults, it will have been renamed automatically. e.g. Menu (1).